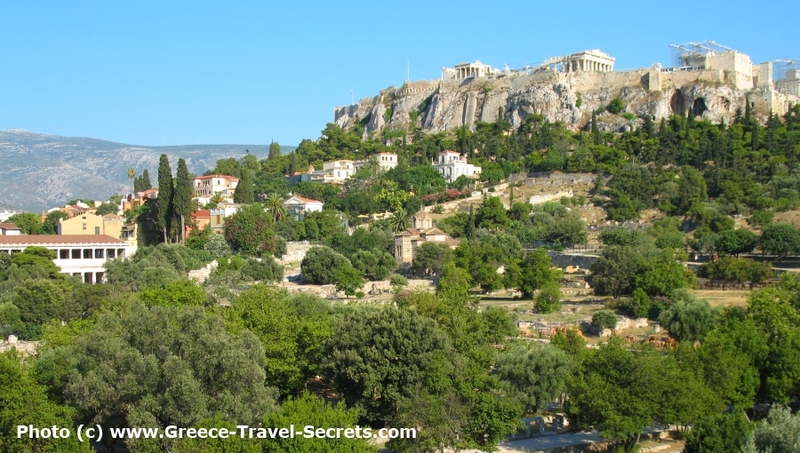 What are the best things to do in Athens, Greece? What are the top must-see sites and attractions, which you shouldn’t miss? 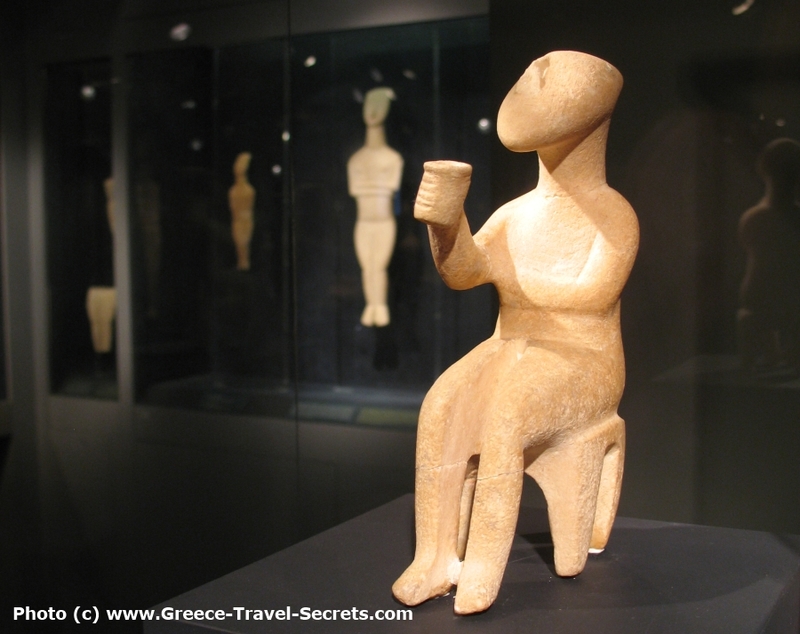 If you only have one or two days in the Greek capital, what places and museums should be top of your list? Well, here’s our list of what we think are the best things to do. The first two are essential, and then we list the rest of the museums and markets, the archaeological sites and places like the Plaka in rough order of importance. Everyone’s different though, so there can never be a definitive list. We’ve limited ourselves to a Top Ten, as if we didn’t then we’d go on to list 20-30 things you must see and do. But here are our top recommendations. The Greek word Acropolis is usually translated as ‘upper town’ or ‘high city’, and it was on this rock that Athens began its life. The Parthenon and several other buildings were constructed here in the 5th century BC, a Golden Age in the development of Athens. 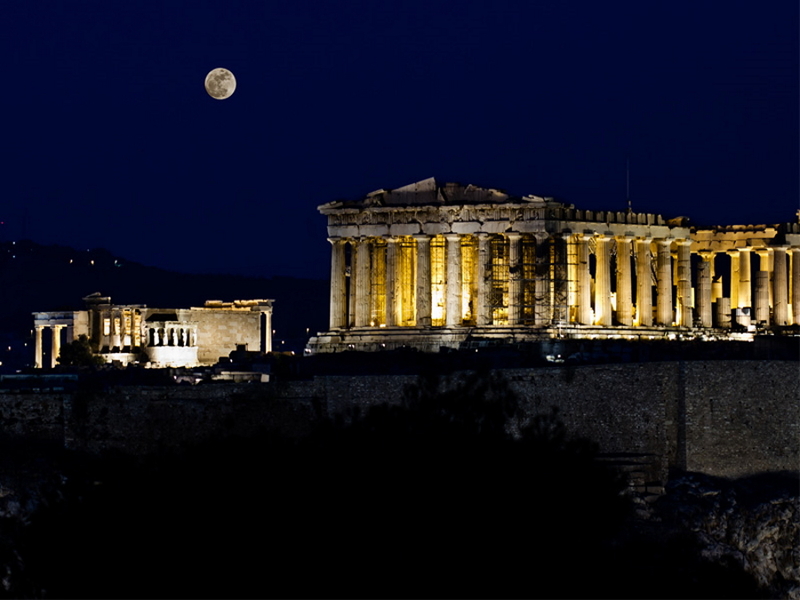 The sight of the ancient Parthenon still rising above the modern city is inspiring, and a visit here is definitely the top thing to do in Athens. This does mean the site gets very crowded, and if you can manage to get there as soon as it opens in the morning, you’ll appreciate it all the more. Either that or wait till the evenings, when it quietens - and cools - down again. Many national museums around the world are filled with wonderful riches, but usually they are items from all around the globe – including many from Ancient Greece. The museum in Athens is exceptional in that it only has Greek items, and despite the many that have been plundered and ended up in the world’s other great museums, here is still the largest collection of ancient Greek artifacts in the world. 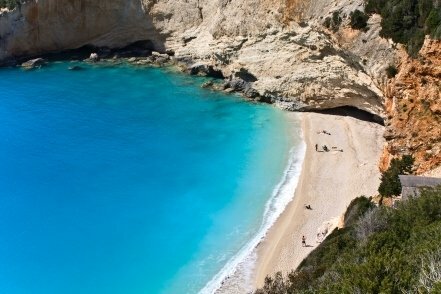 And what treasures they are, from huge statues of Poseidon to the fine golden treasures found at Mycenae, from rampant satyrs to exquisite jewelry and the colourful frescoes found on Santorini. Allow at least 2-3 hours, more if you can, but if time is tight consider booking a tour of the highlights with one of the museum’s official guides. 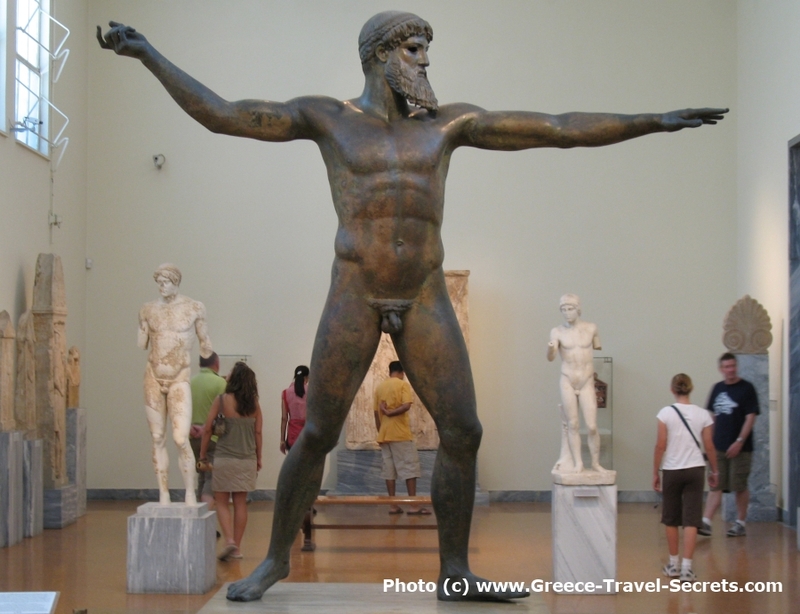 There are many more things to do and see in Athens, including more fine museums. You could easily compile a list of the top ten museums, and every one would be a gem. However, if you have to prioritise how you spend your time, here are our suggestions for what should be top of your list. The Acropolis Museum is one of the most exciting museums in the city. It’s below the Parthenon and shows finds from the Acropolis site, as well as fascinating explanations on how that remarkable building was constructed. Glass floors reveal what was found below, when the museum itself was being excavated, while on the upper floors the museum has been designed to give fabulous views of the Parthenon and other buildings of the Acropolis. It shows what the Parthenon would look like if the controversial Elgin Marbles, now held in London’s British Museum, were returned to their original home. This is one museum that we always try to visit when we’re in Athens, as the displays are timeless and never cease to delight us. They cover many centuries of ancient Greek art and include vases, glassware and other items, but the main attractions are the beautiful objects from the Cycladic civilisation of 3000–2000BC. Some of the small statues seem to float in their display cabinets, as subtle lighting brings out their shape and texture. Little wonder their graceful shapes inspired many modern artists, and it will be hard to resist taking home one of the beautiful copies from the museum shop. The old market of Athens, below the Acropolis, is an atmospheric place that first became a market in the 6th century BC. It’s easy to imagine it populated by people buying and selling goods from shops and stalls, and talking politics, or about sport or the day’s gossip. There’s a small but interesting museum, housed in the Stoa of Attalos. The Stoa is a two-storey arcade that was built in the 2nd century BC, by which time the market had been going for 400 years. The Stoa has been beautifully restored by the American School of Archaeology in Athens, and provides a rare opportunity to see what Greek buildings of the period actually looked like in their prime. As well as seeing the Ancient Market, you should try and see the modern Central market, just south of Omonia Square. It’s a real slice of modern Greek life, with butchers, fishmongers, fruit and vegetable stalls, people selling olives, nuts, and all kinds of other produce. If you feel hungry then a meal at one of the market restaurants will be an experience like no other meal in the city – and one of the cheapest eats you’ll have. 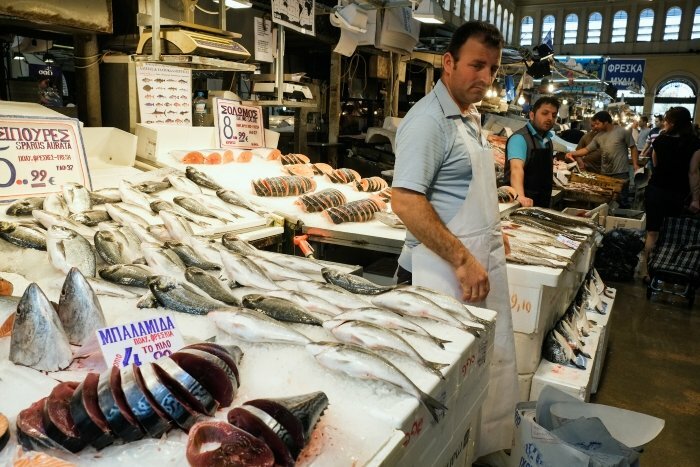 Read about the Athens Food Tours from the Greek Fork or Athens Culinary Tours if you want to get an insider's look into the Central Market. 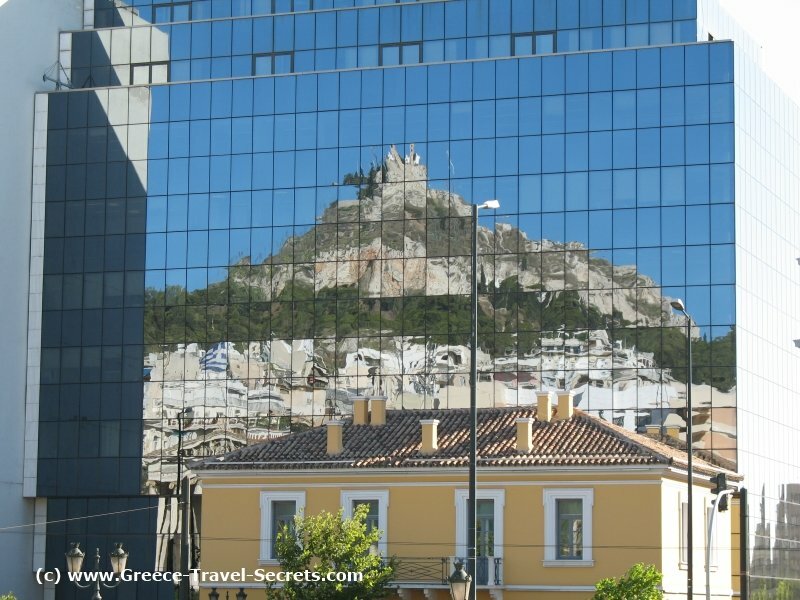 Mount Lycabettus is the other large hill you can see in the centre of Athens, after the Acropolis. There is one main reason for either walking or taking the funicular up to the top, and that is the view you get over the city – and especially across to the Acropolis. On a clear day you will even be able to see down to the port of Piraeus, and the Aegean Sea beyond. Many people deride the Plaka district, on the north side of the Acropolis, because it is undeniably touristy. But if you are on a short visit you should still see it, especially in the evening when the restaurants are in full swing. Be careful where you eat as there are plenty of tourist traps, but there are also plenty of good eating places too. The streets are also filled with souvenir shops, some good arts and crafts alongside the trinkets, and some interesting food and drink shops too. 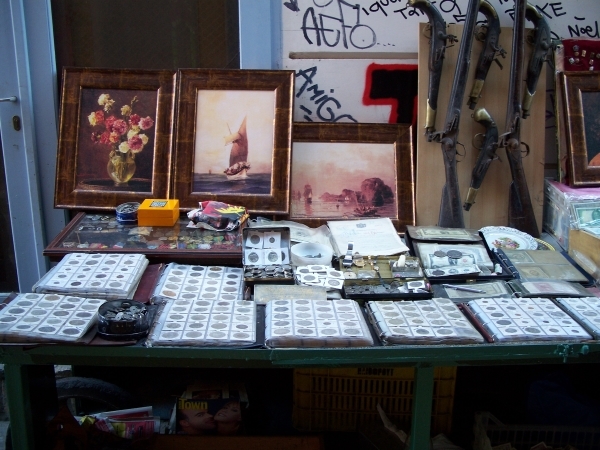 Like a visit to the Central Market, a visit to the flea market near Monastiraki Square on a Sunday morning is an authentic Athenian experience. You can explore the streets around here any day of the week and find a fascinating mix of souvenir and junk shops, but on Sunday morning the place is really packed as people go looking for bargains before enjoying a Sunday lunch in their favourite taverna. This is one place you should keep an eye on your purse and wallet. 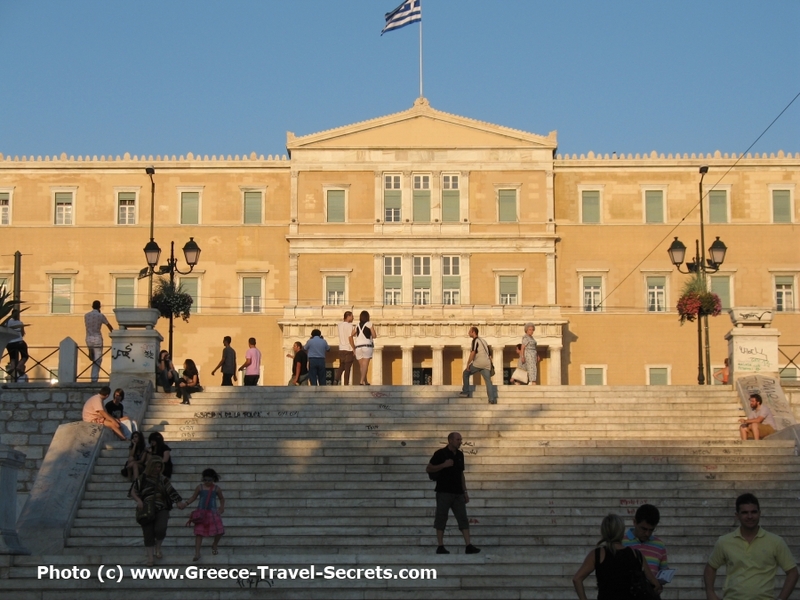 Athens is generally safe but you need to take care in any city where large crowds congregate. 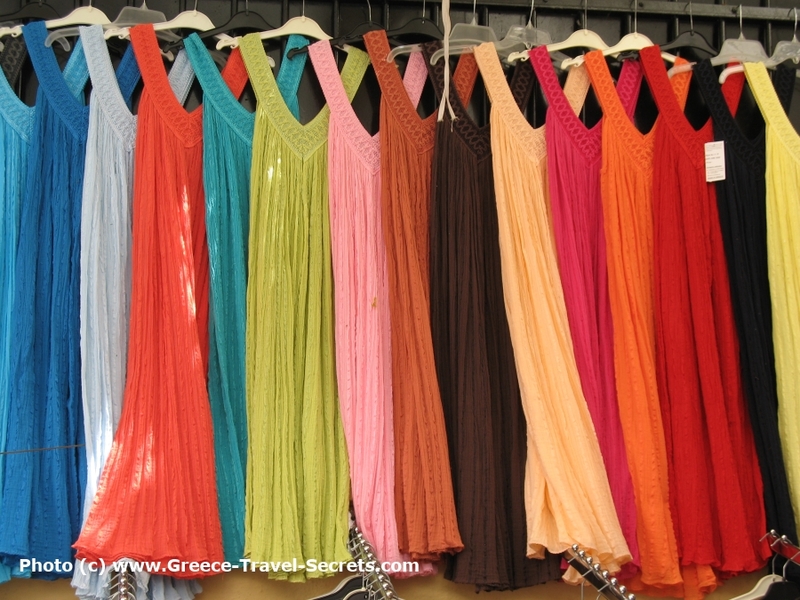 Read our separate page on the Monastiraki Flea Market. Athens’ main square has always been a meeting and rallying point, as well as a hub for the city. It stands in front of the Parliament Building, where the Sunday morning Changing of the Guard is a big attraction, and here too is one of the main Metro stations, cafes and bars, and some of the city’s best hotels like the King George Athens and the Grande Bretagne. So that's our personal choice of the Best Things to Do in Athens, though the city has a wealth of other things to offer too.